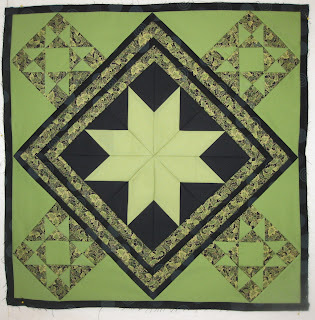 Here is the new border around the medallion. 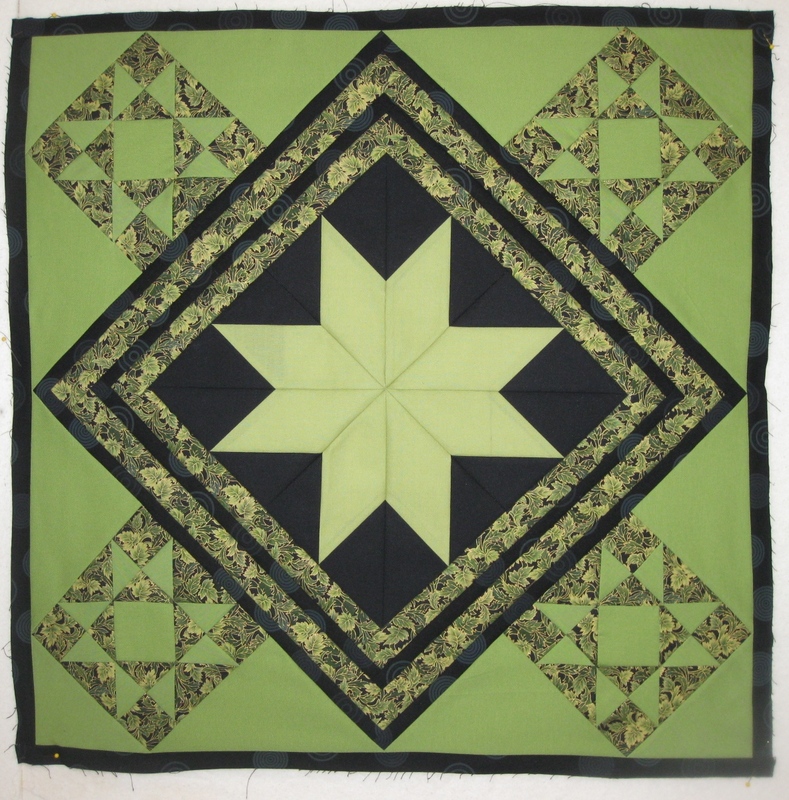 It is so much fun designing a quilt as I go along. I know I will introduce more colors on the next border. When I go hunting in my stash, I can usually find what I need. Let's see if it will come through for me this time.